Delaware Attorney: Scott A. Simpson | Elzufon Austin & Mondell, P.A. 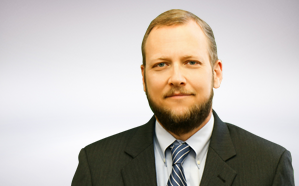 Scott A. Simpson is a Director in our firm and part of the Workers’ Compensation Defense Department. Scott was born in Lawrence, Kansas, January 19, 1967. He was admitted to practice in Delaware in 1997. He is a graduate of the University of Delaware (B. A., 1989) and Widener University School of Law (J. D., 1996). Scott is a member of the Delaware State Bar Association and the Randy J. Holland Delaware Workers’ Compensation Inn of Court.